It’s no surprise, consumers are much more likely to fall for spam during the holiday season. Maybe holiday cheer makes people less cynical. If so, that explains why social-engineering spam tactics prove to be more effective during the festive season. 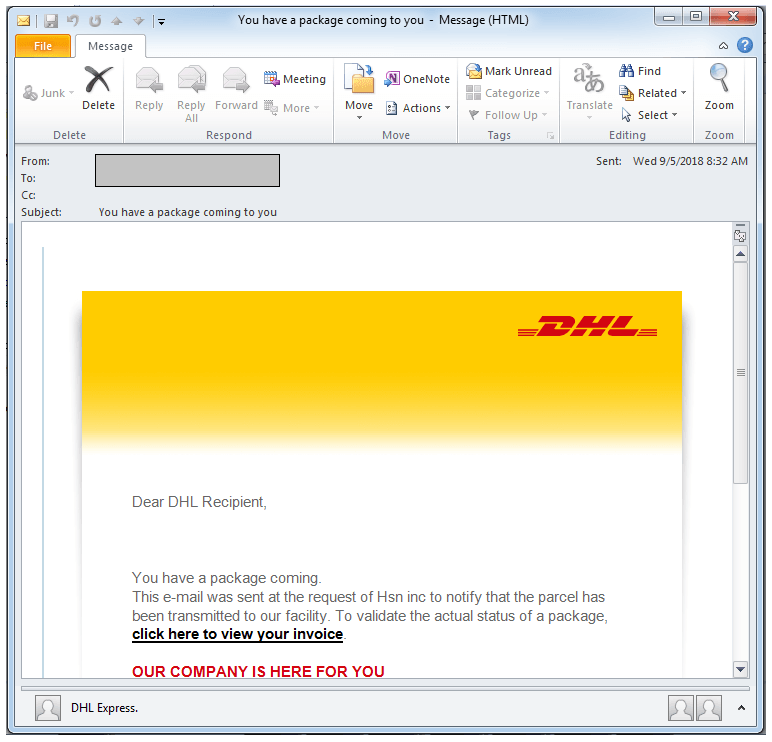 New research shows that spam campaigns disguised as delivery notifications or online shopping invoices, while always a favored tactic by criminals, work even better around the holidays. That’s largely because, among other factors, most people are in the giving mood, sending packages and receiving them – and letting their guard down as they get into the spirit of the season. Researchers point to spam as the most common method for cybercriminals to spread malware overall in 2018, accounting for nine out of every 10 infection attempts throughout the year. Roughly 69 percent of spam campaigns attempted to trick users into visiting malicious URLs to download a malware-laden file or committing another online action that results in an infection. Malicious attachments were used in the remaining 31 percent of camp aigns. Also, the majority of observed spam campaigns target users in Canada, E.U., Japan and the U.S., the firm said. As far as payloads, downloaders, bots, and backdoors account for 52 percent of malware delivered through spam, followed by banking trojans (42 percent) and then ransomware (six percent). 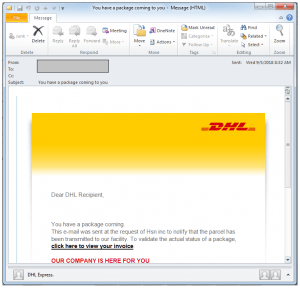 Overall, the Emotet, Trickbot and Panda banking trojans are the most frequently seen malware families delivered through spam. F-Secure researcher Patricia Revilla-Dacuno, however, noted that these trends have to be put into context. Interestingly, the research also indicated that the decline of exploit kits is continuing. The number of active exploit kits declined from six in 2017 to four in 2018 and has decreased by 87 percent since 2013. Anyway, here is to holiday cheer. May it, at least, take the edge off impending in-law visits. Secure Sense is the security provider that cares. We are a team of experts with a passion for IT and protecting your organization is what motivates us daily. If you have questions or want to learn more about how we can improve your organization’s security, our services or just want to chat security please give us a shout. If you’re looking to guest blog, please send an email here.